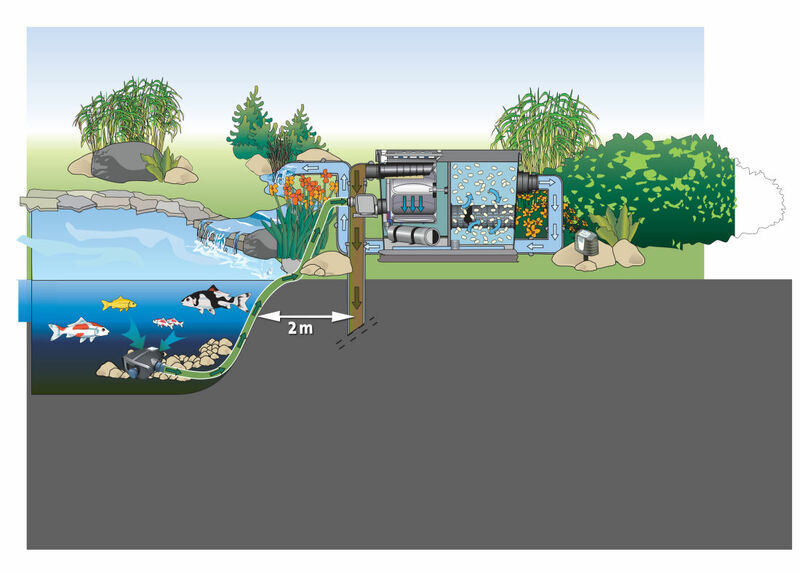 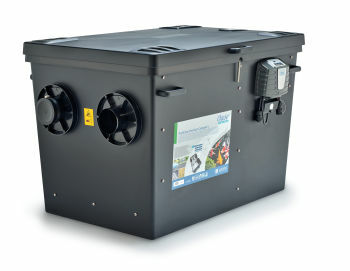 OASE Germany have produced the very latest generation of ProfiClear Drum Filter technology, ideal for substantial Koi ponds and swimming ponds. The ProfiClear Compact has been redeveloped to offer a larger model capable of handling ponds up to 120,000 Litres (26,660 Gallons) capacity. 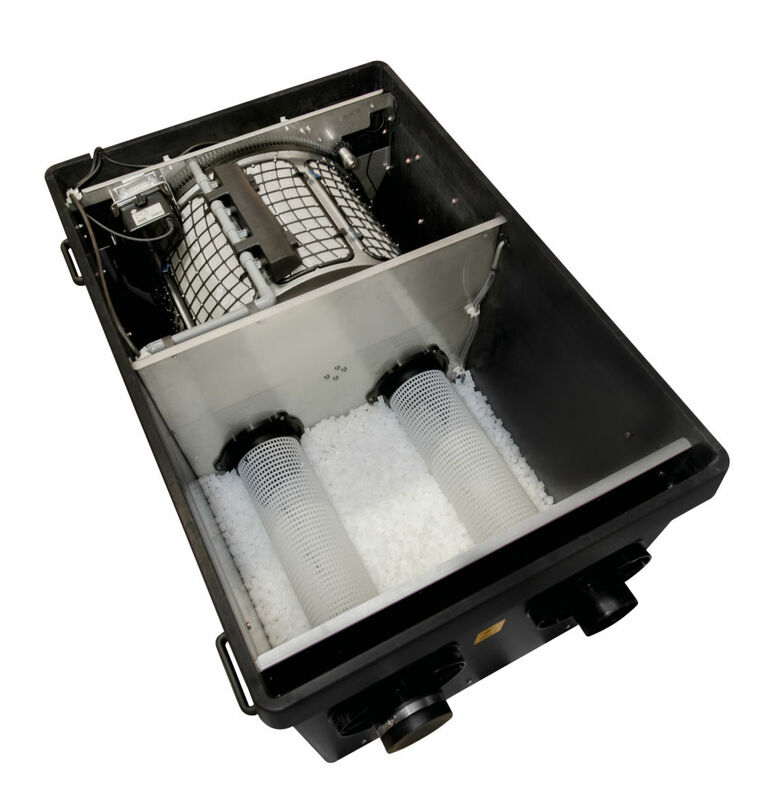 The ProfiClear Premium Compact-L is a fully automated filtration system featuring a rotating debris sieve drum which is capable of trapping particles down to 60 microns in size (around half the thickness of a human hair). 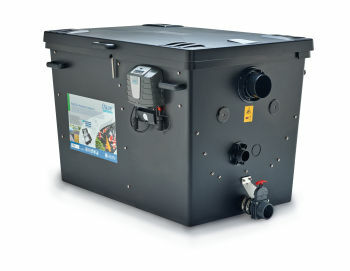 This level of filtration ensures absolutely crystal clear water clarity. The filter unit also features a large biological filtration space powered by an aerator (not supplied) which ensures full productivity of the filter bacteria using OASE's patented Hel-X 13 media, an impressive biological surface area of up to 48.4m2 can be achieved. 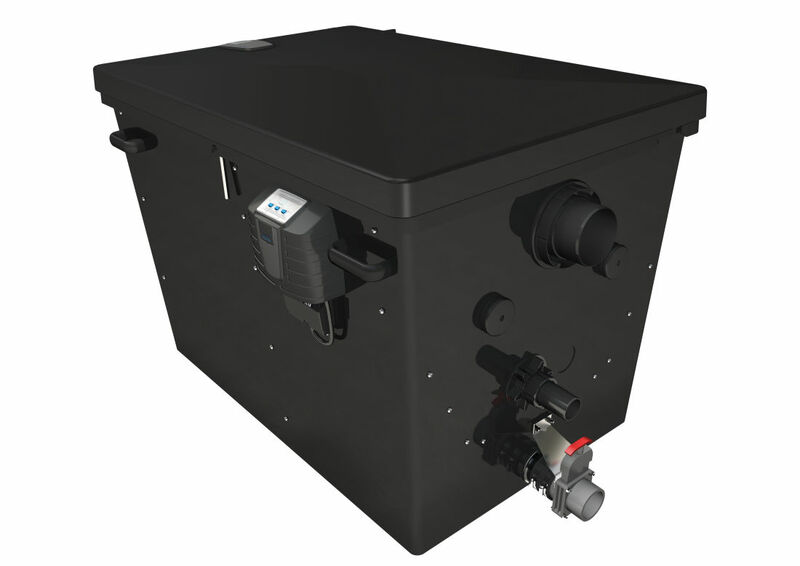 The ProfiClear Premium Compact-L can be fully integrated with the OASE Bitron 72C - 110C & Bitron 120W - 240W UV Clarifiers which mount directly to the inlet side of the filter. The UVC will eliminate algae and pass it through in a flocculated state for entrapment inside the debris sieves. 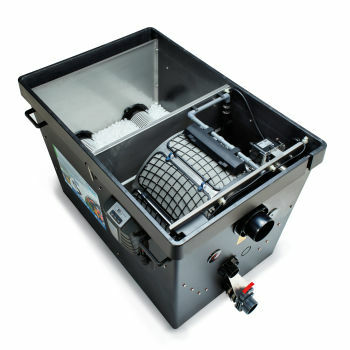 The Debris sieves are automatically cleaned via jet nozzles positioned above the drum, and detritus is automatically washed away into a drain or soakaway positioned nearby. The robust GRP Duroplast housing ensures full stability of the unit and prevents against breakages from light impact and scuffs.